supply other interior decoration products, using environmentally friendly natural material. a call during Hong Kong office hours at +852-23600038. reduce waste production time in wholesale price. We were set up to provide China trade services for rattan related material and related products. history of more than 50 years since 1946. Lee Luen Yick Rattan Factory Ltd. for direct international trade. furniture component parts and simple wicker furniture. 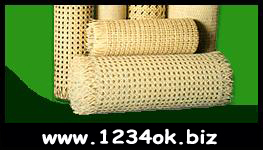 Our Product Range: Rattan Cane Webbing, Rattan cane, Rattan core, Rattan Peel, Paper & Plastic cane webbing, Bamboo material, Straw Rush, rattan & wicker furniture, Baskets and Straw hats.